Grexit - What does Grexit mean? Greece and the European Union - Exit or Not? Definition: If you haven't seen this word, Grexit, for very long, you're not alone. It's a relatively newly-coined term created by Citigroup's Ebrahim Rahbari and first published in an informational paper authored by him and Citi Chief Economist Willem Buiter. It combines "Greek" or "Greece" with the word "exit" and refers to the possibility of Greece leaving the Eurozone. The word has been picked up by media worldwide and it may well worm its way into the official lexicon. And it certainly has Greek roots beyond the obvious "Gr" - the word "exit" itself comes from the Greek "exodos", meaning "going out". You'll see "exodus" marking the way out of Greek buildings. But the meaning here is very different. Rahbari and Buiter believe that Greece leaving the Euro is highly possible, and that the probability has tipped over 50% for it to occur in the next 18 months from this writing, originally in early February, 2012. While Greece has hung on to the Euro well into 2016, new financial pressures and frozen negotiations in have raised the specter of the "Grexit" - even Greece's National Bank has suggested it may still be possible in the next two to three years. The concept of the "Grexit" is important to investors and others trying to predict the impact on the world economy, on Greece itself and the Greek financial crisis, and on financial interactions around the world. However, Rahbari and Buiter might have wanted to Google "Grexit" before declaring this word - turns out that GrexIt is an email service which can be accessed by going to the eponymous Grexit.com website. They bill themselves as a "smart shared folder for your Google Apps email". Not sure if they will enjoy being synonymous with an impending potential financial disaster in Greece and the rest of Europe. From a linguistic point of view, it is rare to be able to document the "birth" of a new word as clearly as this one. Etymologists - those who make a study of words - should be delirious with joy over this new one, but they will probably be the only ones happy over this development. Want to learn another word you should know about the Greek financial crisis? Check out What Is The Troika? Examples: Investors around the world are fearing the ramifications of the Grexit, or the potential Greek exodus from the Eurozone or from the European Union itself. 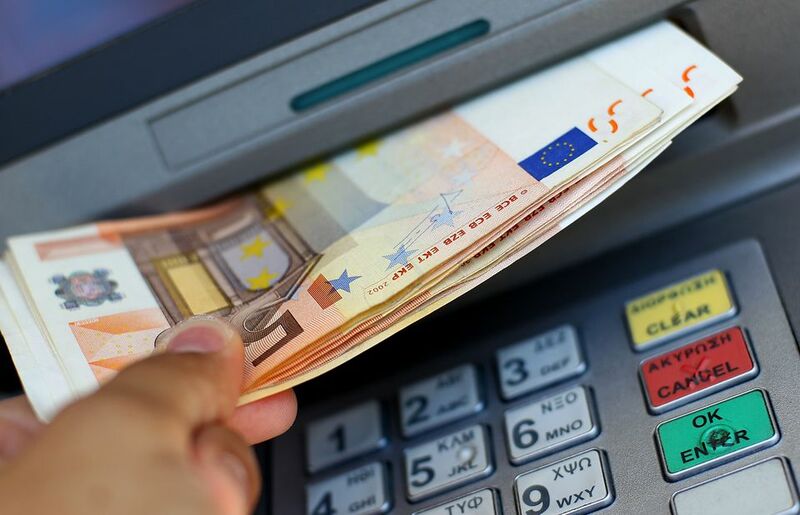 Travelers are worrying about what might happen to their ability to use credit cards or get money out of local ATMs if the Grexit should happen during their vacations to Greece.